Join - Be a Member! Welcome to the website for the Legend Lake Channel Kruisers Snowmobile Club! Follow our Legend Lake Channel Kruisers facebook group to post pictures, information and check out our Ride Board! Would you like to join LLCK? Download our member interest form! The Raffle event is our biggest fund raiser of the year. It is through programs like this that we have funds available for trail grooming and improvement. This year the Raffle drawing party is at Big Time formerly (Symba’s) on April 13th at 11:00 AM. Please make sure to sell all your raffle tickets and return the stubs and money to the Legend Lake Lodge before the raffle drawing. Go to the lodge if you need additional raffle tickets. WI Trail Pass - How do I get one? Call the AWSC Office during business hours to order your WI Trail Pass with a credit/debit card. Mail through the US Post Office along your check or credit card information to the AWSC office. ***Note - your AWSC Member Number can be found on the WSN Magazine address label. Hope to see you at an upcoming event! Shawano County Trails Webpage with Zone Information - Click here. Check out this link for general reports for counties in Wisconsin. (provided by Wisconsin Department of Tourism). It's The Offseason Work that Makes the Season Possible! Thank you to all the volunteers that helped with trail work after the meeting! - Want to know who's looking for a trail ride when you are? - Want to see and post pictures of you, your friends or family enjoying the trails? - Want to see who is out supporting our sponsors? - Want to do it all from home or on a mobile device while you are away or on the trails? 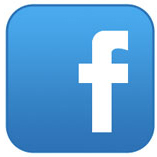 Well now you can with our Legend Lake Channel Kruisers Facebook Page. © Copyright 2017 Legend Lake Channel Kruisers. All rights reserved.